Peg Toland and her father think they've found the perfect vacation spot: a beautiful, uninhabited Mexican island in the sparkling Sea of Cortez. Unfortunately, the locals who live on the coast do not agree. "That is no place to go," they tell the Tolands with alarm. They will not explain why. Peg and her father should have listened to these mysterious warnings. Shortly after they arrive on the island and set up camp, the untamed landscape and isolation turn into a terrifying and deadly trap. Someone else is on the island. Someone who slashes the Toland's inflatable boat, steals their supplies, and stalks them day and night. With her diabetic father growing weak and sick from lack of insulin, 15-year-old Peg has no choice but to hunt the stalker down-to the death, if necessary. 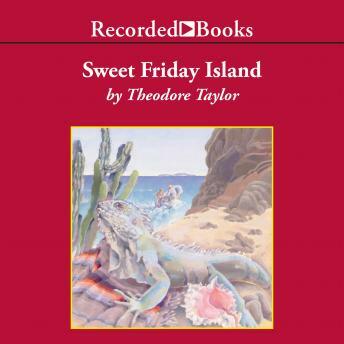 Realistic and chilling, Sweet Friday Island is nerve-jangling adventure from Theodore Taylor, the award-winning author whose novels have thrilled millions of young people.